With the NBA Draft just one week away, Mitch McGary still hasn’t worked out for an NBA team. McGary’s health continues to progress, but not to the level where he’s ready to workout in public. Mark Snyder reports that there’s still a possibility for McGary to return to action this week. Is McGary simply not healthy enough to workout yet, or might he have a promise somewhere in the first round? Basketball Insiders’ Alex Kennedy reports that there are rumors McGary could have a promise. Mitch McGary was being projected as a fringe first-round prospect entering the pre-draft process, but now a number of executives around the league believe that he has a promise in the 20-30 range. McGary’s decision to skip the NBA draft combine in Chicago and then refuse to work out for a number of teams seems to indicate that he could have a promise from a team in the first round. A number of teams have tried very hard to get McGary in for a workout, but his camp isn’t budging, which has talent evaluators around the NBA wondering if he has a promise and is being asked to stay away from other teams. There’s only a week until the draft, but many outlets still have McGary projected in the first round despite the questions regarding his health. Nik Stauskas and Gary Harris faced off three times this season and now are battling for draft position in the top ten. The two discussed their rivalry with the Sporting News. As would be expected, Stauskas wasn’t shy with his assessment of the head-to-head showdowns. “Obviously, we have a rivalry because of the teams we played for and we are such big rivals in terms of that, the positions and roles we played,” Stauskas said. “But we beat them twice this year. Stauskas is emerging as a legitimate option as a top ten pick and Sports Illustrated notes that that wouldn’t have been taken seriously four months ago. Four months ago, the suggestion of Stauskas as a top-10 pick would have been laughable. But Stauskas has looked terrific shooting the ball in group workouts and surprised a few executives with his ability to score off the dribble. He’s an average defender without high level athleticism, but guards who can shoot like him are tough to pass up. There are even whispers that the 6-foot-6 Canadian might not even be on the board for the Hornets at No. 9. Considering he worked out for the Celtics, Lakers, Suns and Hornets — with the Suns being the only team to pick outside of the top 10 at No. 14 — Stauskas and his agents are confident in his stock. Stauskas is expected to workout in LA on Friday. Stauskas also admits that he doesn’t even have a driver’s license in this video interview with Campus Insiders. 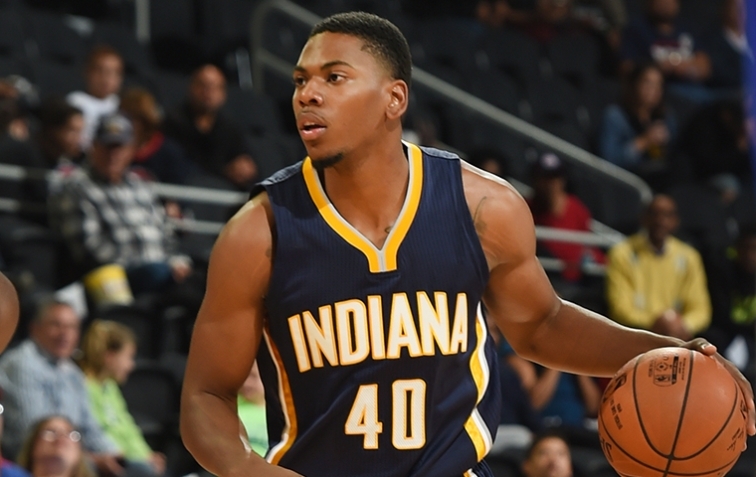 While the last month appears to have been mostly positive for Stauskas and McGary, Glenn Robinson III might be stuck in neutral just a bit. He appears to be hovering right on the edge of the first and second round and his draft day will probably depend on a team like Oklahoma City or Houston taking a chance on him late in the first round. Robinson most recently worked out for the Clippers, who have the 28th pick in the draft.